Agile Cigar Reviews are cigar assessments where we use a lightweight, shorter format. These will never take the place of our comprehensive reviews. They are only used on blends we have previously assessed. This might be a blend we are re-scoring or giving a score for the first time. It might be a blend we are looking at in a different size. Today we look at the Arturo Fuente Casa Cuba Divine Inspiration. This is a cigar we previously assessed back in October 2016. At the 2016 IPCPR Trade Show, Arturo Fuente Cigars unveiled a new blend under its Casa Cuba line known as Divine Inspiration. This was a project conceived by Carlos Fuente Sr. 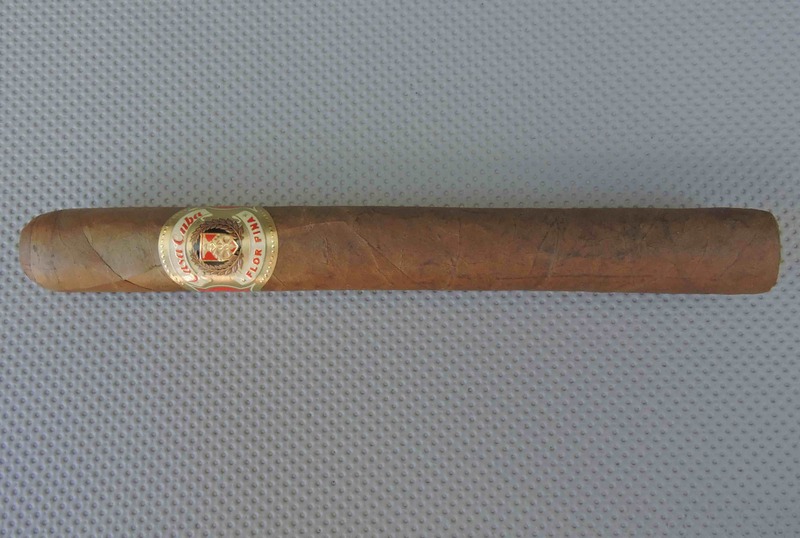 According to Arturo Fuente Cigars, Fuente Sr. had a dream about a modified version of the Casa Cuba blend. Fuente Sr became inspired to make what he dreamt about into reality. At that time, Fuente Sr. was not well enough to travel to the Dominican Republic to work on the blend, but he was able to phone into the factory and give direction on what needed to be done. The end result was the Casa Cuba Divine Inspiration cigar. What many did not know is that Fuente Sr. would pass away a few short weeks after the Divine Inspiration was unveiled. Casa Cuba Divine Inspiration is a limited production cigar coming out of the Fuente’s Tabacalera A. Fuente y Cia factory in the Dominican Republic. It features an Ecuadorian wrapper over Dominican binder and filler. Arturo Fuente Cigars has said this is a different blend than the original Casa Cuba; however to what extent, we do not know. Casa Cuba Divine Inspiration is available in a 6 1/8 x 47 Short Churchill. The cigars for this assessment were acquired a little over a year ago. The Casa Cuba Divine Inspiration started out with a mix of cedar, natural tobacco, fruit, herbs, and white pepper. There was a good amount of sweetness early on thanks to the combination of the natural tobacco, cedar, and fruit. As the cigar moved through the first third, the fruit notes diminished into the background and were replaced by baker’s spice. There was also a slight salty component in the background too. By the second third, the earth and herbal notes took over as the primary note. This was complemented by notes of cedar, baker’s spice, pepper, and still some of the salty component. By the last third, the herbal notes diminished into the background, joining the other notes. The Casa Cuba Divine Inspiration is a bolder smoke from Arturo Fuente. After starting out as a medium to full-bodied smoke, the flavors got more robust and moved into full-bodied territory. As for the strength level, it remained medium to full throughout the smoke. There are two things the Casa Cuba Divine Inspiration doesn’t lack – and that is complexity and power. This is a cigar with a lot of nuances and robust flavors. The only place where I think this cigar falls a little short is the way the flavors mesh together. Previous smokes of the Casa Cuba Divine Inspiration delivered a much better synergy and balance of the flavors. I’m not sure whether it was the additional age in my humidor that took the balance of this cigar off-kilter or not. This is a cigar I’d position for a more experienced cigar enthusiast as it is a bolder smoke. As for myself, there was still enough going on with this cigar where I would buy one, but I’d be more inclined to smoke it right away once I get it.